With spring just around the corner, there are lovely days to look forward to. But many of our immigrant sisters and brothers are not living in their loveliest of days, and we have the opportunity to pray for, advocate with, and stand alongside them in the face of hardship and injustice. 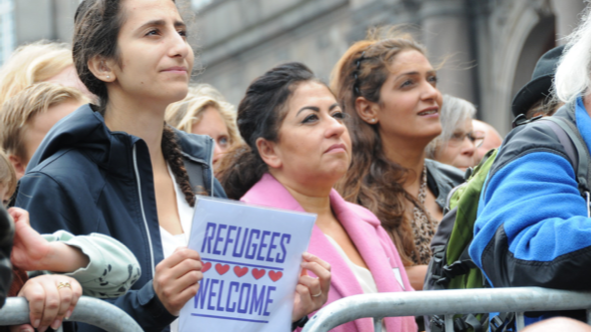 Read on for opportunities to stay informed, pray for refugees, help meet the basic needs of asylum-seekers, and demand change to unjust policies. 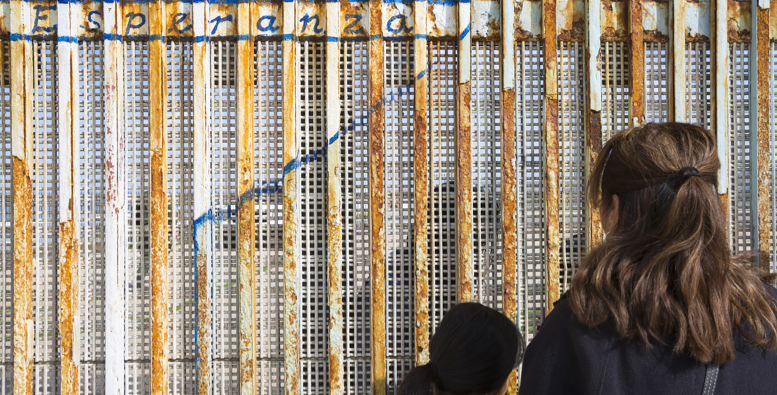 In January 2019, the Department of Homeland Security (DHS) began implementing the “Remain in Mexico” (or Migrant Protection Protocols) policy at the San Ysidro port of entry (POE), and the El Paso/Juarez POE as of March 20. Under U.S. immigration law, it is legal for asylum-seekers to remain in the U.S. while their cases are pending. This policy change is not only unlawful, but it also places a potentially dangerous, immoral, and unjust burden on an already vulnerable population. “God of our Wandering Ancestors, long have we known that your heart is with the refugee: That you were born into time into a family of refugees… Lord, protect all refugees in their travels. May they find a friend in me, and so make me worthy of the refuge I have found in you.” Read entire prayer here. 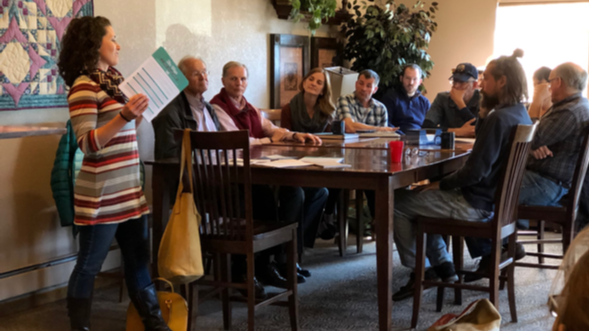 Our mobilizer for Colorado, Marissa Saints, has been actively engaging folks on immigration in churches and legislative meetings this month. Join her and her colleague, Nii Armah Sowah, on April 5 and 6 in Boulder, CO for education, discussion, and song about immigration and a faith-based response. Get your tickets here! Thank you, Marissa, for following the biblical call to advocacy and justice! Our colleagues in Ciudad Juarez, Mexico are seeing firsthand the impact of DHS’s “Remain in Mexico” policy. One of these colleagues pastors a church that has begun to house and meet the basic needs of hundreds of asylum-seekers. 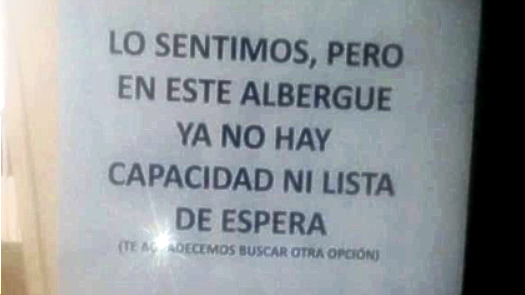 As you can see in this photo taken by him, many people have had to stay on the streets since government shelters are full: “Sorry, but in this shelter there is no longer any space nor a waiting list. (We thank you for looking for another option).” Please do the action alert and reach out to Melissa Stek (mstek@crcna.org) if you are able to donate to our colleague’s church providing urgent humanitarian aid to asylum-seekers. We’ve continued to mobilize people of faith across the country to share with their members of congress why welcoming immigrants through our federal policies is important to them. Following a meeting with the staff of Rep. Dave Loebsack of Iowa, mobilizer Rose Admiraal stated, “the meeting went great! 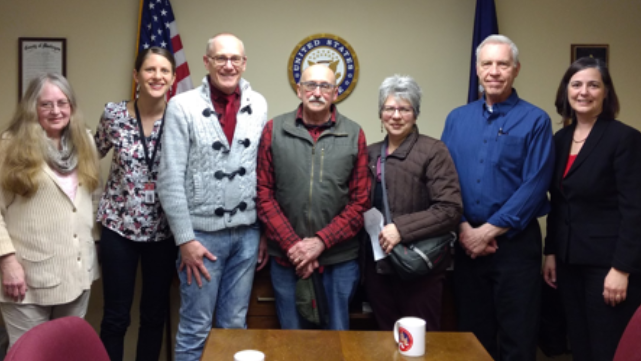 [The staffer] made a comment that they rarely hear from the Pella area.” Trailblazing for faith-based advocacy in Iowa - thank you, Rose, and to all the others that have participated in these meetings! Some of the first refugees that the CRC and RCA began walking alongside were from Vietnam. After decades of being in the U.S., more than 7,000 Vietnamese immigrants have received deportation orders because of years-old non-violent criminal convictions. We will pray and advocate for solutions that keep Vietnamese refugees together and here in the country they’ve called home for decades. Read more about it in this NPR article. Many of you joined us in our efforts to oppose the Public Charge ruling this past fall, which allowed for documented immigrants using public benefits to be denied green cards. What’s happened since? The need for our advocacy continues. “According to recent data from the State Department, U.S. visas issued… are significantly down… [which is] tied to a State Department change in their manual on what's called public charge grounds.” Learn more about it in this article. We've been working hard to spread the truth about the blessings of immigrants in our country and to counter myths that have the power to turn into policy that harms our immigrant brothers and sisters. Help continue this important work.